Wow! Did the holidays just happen? Is that what that whirlwind was? Somewhere in there was some merry making. And lots of food and family. A present or two, as well. Honestly, it's a bit of a blur. My husband just celebrated his birthday, as have a few other friends. 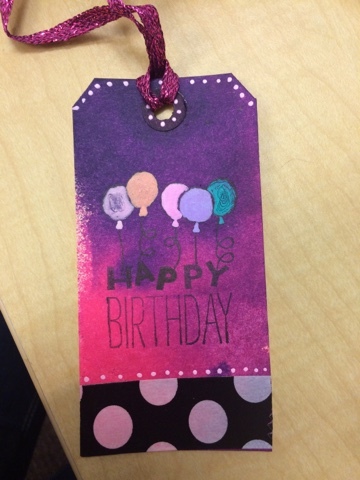 In that spirit, I thought I'd share a tag I had created and used for a coworker's gift. 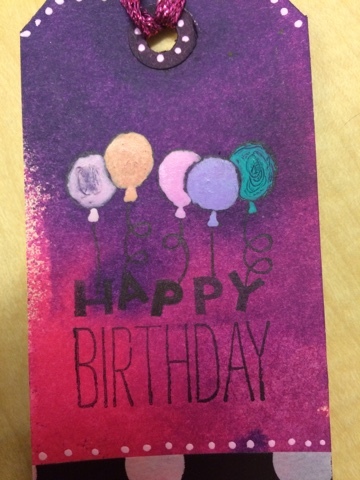 The background was made from spray inks, and I stamped the happy birthday image. The balloons were filled in with gel pens, and the dots are gel pens too. The bottom strip is washi tape. 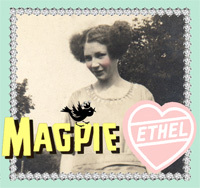 I have lots more tags at home to share, as well as a few mini books! Now to get some decent photos.